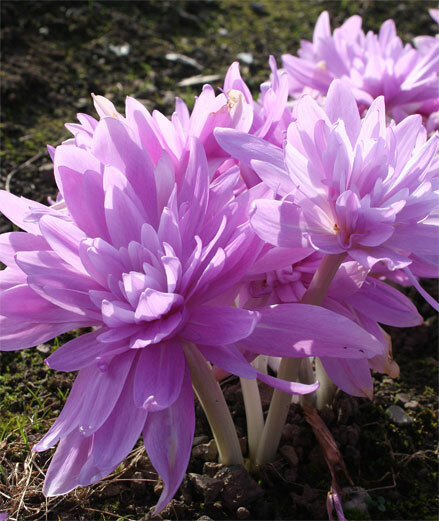 This easily grown Colchicum flowers late on in the autumn with bright pink double flowers. 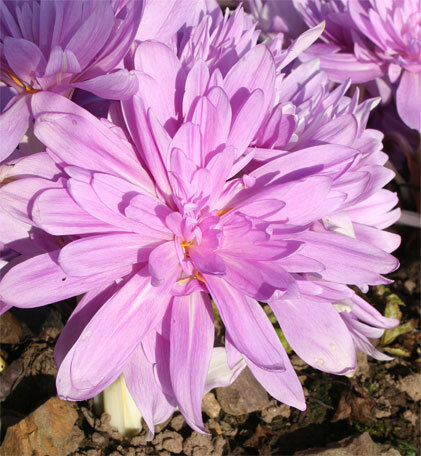 It bulks up well and brightens a corner of the flower bed when other things have finished. The large leaves are produced in the spring and die back before flowering. Well drained general garden soil. Flowers 10cm tall, leaves 30cm tall.